This week's "Caption This!" is from Star Wars Episode V: The Empire Strikes Back. 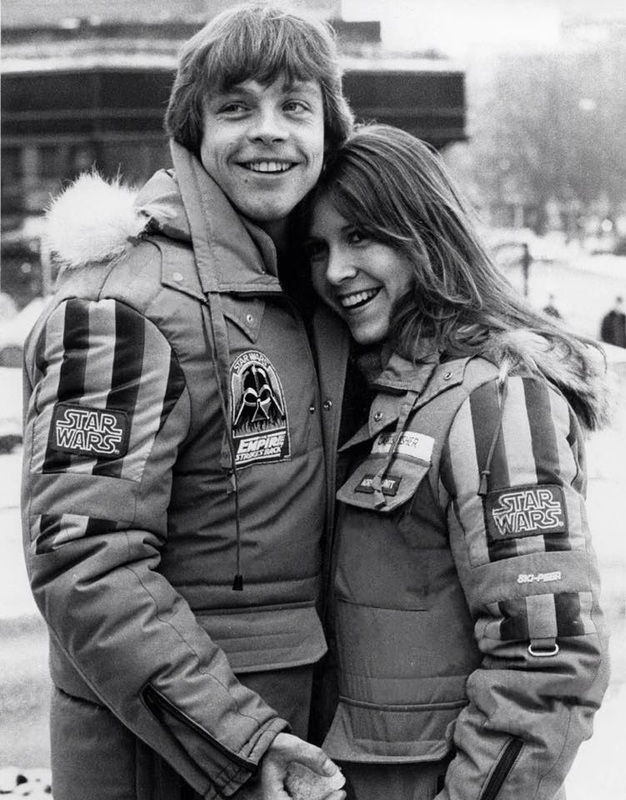 In this behind-the-scenes picture from March 1979, Mark Hamill and Carrie Fisher are filming the Hoth scenes in Norway. What do you think they're saying? What caption would you give this picture? For long-time readers there's no scoring on this one. So it's anybody's game. 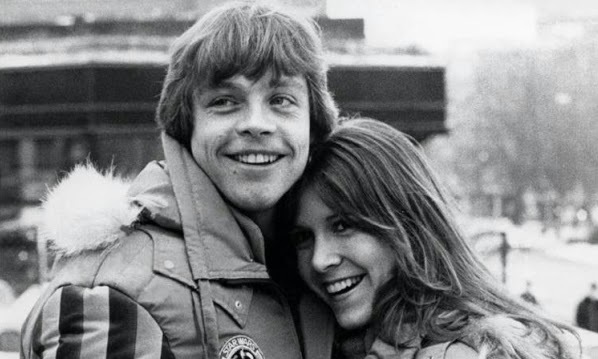 Smile at the camera, Carrie, while I put this ball of snow down your pants! Not sure what to call it, but I think that is a great shot. We're never going to wind up old and broke, right? "Next movie we're revealed as siblings. But first we get to kiss!" Yes, we make out early on... but it's revealed we might have the same father? Remember there are no laws in space right, right... right?